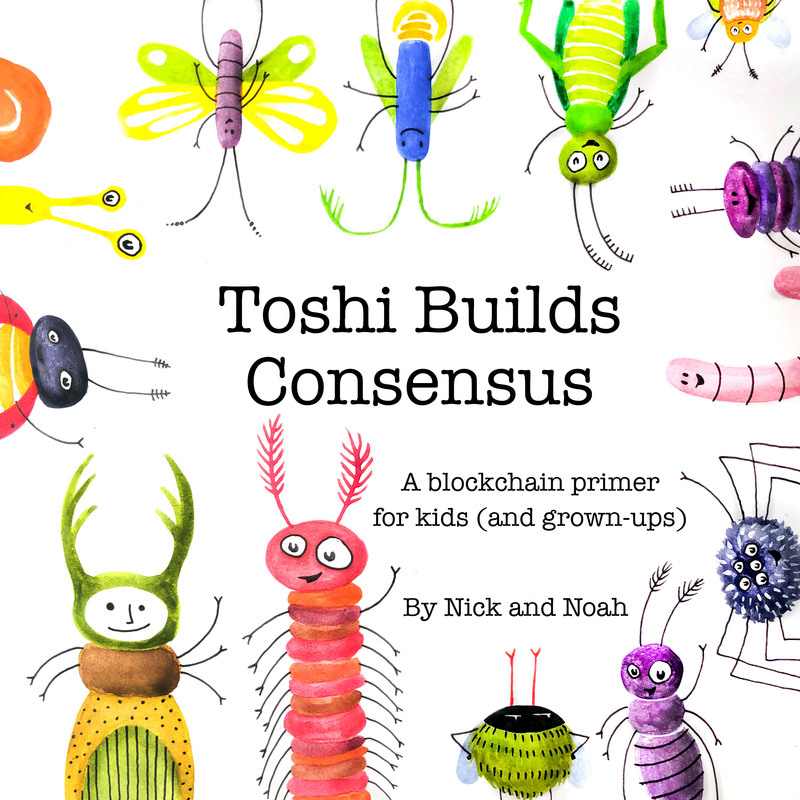 Toshi Builds Consensus is currently in production with an anticipated Summer 2019 launch. You can pre-order your copy today! Not sure what Toshi is? Check out our kickstarter. Summary: Toshi and her friends love the activities that Teacher Tina plans at school. But when their teacher doesn’t show, it’s up to them to agree on a schedule for the day. The process the kids must go through to figure out how to work together without their teacher is analogous to the way a network of computers arrives at consensus on the blockchain without any of the computers being in charge. Nicholas P. Tatonetti, PhD is Assistant Professor of Biomedical Informatics at Columbia University. His work, using data science techniques on healthcare data to improve drug safety and development, has been covered by the popular press, including The New York Times, The Chicago Tribune, and The Boston Globe. Noah Zimmerman, PhD is Assistant Professor at Icahn School of Medicine at Mount Sinai, and the Director of the Health Data and Design Innovation Center in Silicon Valley. He specializes in emerging technologies and data driven decision making in health. Cybil Sanzetenea is an award winning illustrator with a passion for early childhood education. Cybil is a dual language school teacher in urban Philadelphia where she fosters learning and community through artistic expression.